LEE, Maine — Lee Academy’s first American-curriculum school in China opened its doors for the first time last Tuesday, even as the academy in Maine began its year with a record number of Asian boarding students, academy Headmaster Bruce Lindberg said. Billed as a sister school to Lee Academy, the Shenzhen American International School began teaching 15 Chinese pupils in grades one through six on Sept. 1 in Shenzhen, a subtropical port city of 12 million in southern China just north of Hong Kong. Besides Principal Sean Casey of Orono, the Shenzhen faculty includes five teachers: Krista Rae Helms of Hermon; Cindy Noyes of Howland; Karl Varian, a University of Maine graduate from Vermont; Colleen Mace of Spokane, Wash.; and Kimberly Dean of Scarborough, Lindberg said. Employing rolling admissions, where candidates can apply anytime within a large window of time (usually six months), the international school eventually will build its enrollment to 100 Chinese pupils by the end of the year, Lindberg said. The first of seven Lee Academy satellite campuses destined for Asia, the Shenzhen school was due to open for about 200 foreign-born pupils in first through sixth grades in September, Lindberg said. However, although their reluctance wasn’t unexpected, Chinese parents within the city have been somewhat leery of enrolling their children in the school, Lindberg said. “Everyone is waiting to see what this school is going to be like,” he said. Additional grades will be added to the school annually until it is a facility with grades kindergarten through 12, Lindberg said. Symptomatic of China’s efforts to become an economic world power and Lee Academy’s desire to grow — at a time when most Maine public schools are shrinking in budget and population — the creation of satellite schools is helping the academy generate more income and attract more Asian interest in Maine, Lindberg said. Besides Shenzhen, Lindberg signed agreements in July with Chinese authorities to eventually create high school campuses in two other Chinese cities: Shijiazhuang, a northern city of 9 million southwest of Beijing; and Chengdu, a city of 11 million just south of the center of China. Lee Academy officials hoped to open the schools this month, but Chinese government bureaucracy made that impossible, Lindberg said. The schools likely will open within five years. 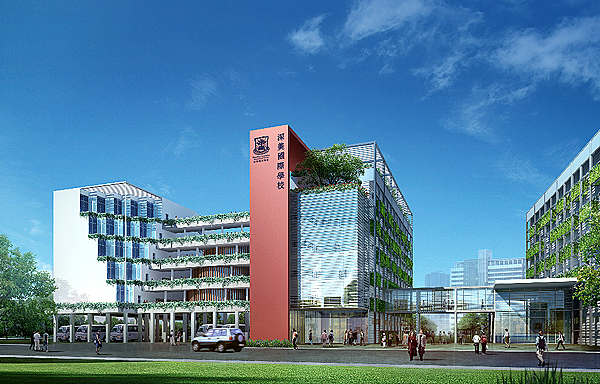 Housed temporarily in a former Mercedes auto dealership, the Shenzhen American International School eventually will have its own campus and dormitory. Designs for the 1,000-student building are complete and construction is due to begin in January, Lindberg said. Construction of another Lee Academy satellite, in Daegu, South Korea, began on July 1, Lindberg said. Daegu government officials are due to visit Lee Academy Sept. 14-16 to familiarize themselves with the school and its curriculum. 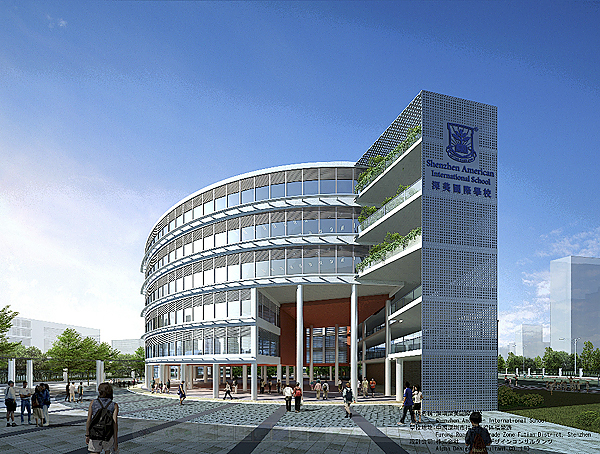 The private academy’s contract to create the first American high school on the Chinese mainland, in Wuhan, a city of 9.1 million 500 miles north of Hong Kong and 600 miles south of Beijing, eventually resulted in a language school that teaches English to about 30 Chinese students, Lindberg said. Three students taught there, 11th-graders, are attending Lee Academy this year, Lindberg said. Besides exporting American education and culture to Asia, Lindberg’s ambitious plans have created a revenue stream that has infused new life and technology into the school’s Lee campus. 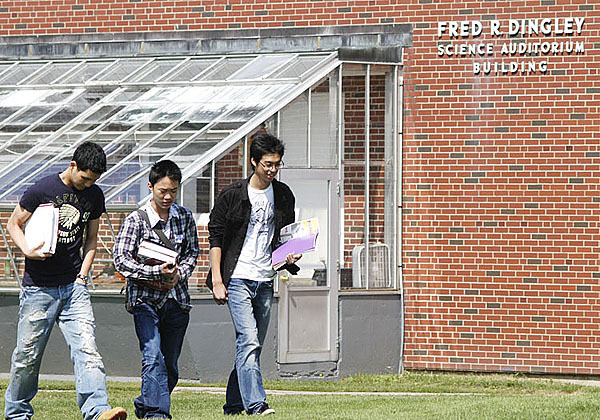 The 85 international students residing in the school’s dormitories, which include 65 Asian students, are the most the school has ever had, Lindberg said. The increased foreign student population and revenue it brings have allowed Lee Academy to offer nine Advanced Placement classes — by far the most in northern Maine, said Bob Potts, the school’s director of advancement. “That’s more than what schools two or three times our size offer,” Potts said Thursday. The school has added a full-time guidance counselor, a part-time college adviser and a part-time theater arts teacher to its faculty, Potts said. The school also is considering partnering with SAD 30 to lease space at Jefferson Middle School within the next five years. If all goes well, the partnership will allow Lee Academy to increase its grades to include middle-school students, Potts said.